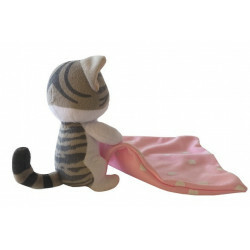 This cute Chi blankie is very soft and light as a feather. 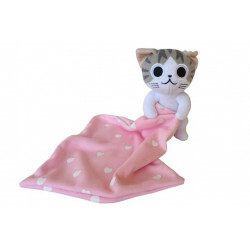 It's a small plush cat who is carrying a jersey made soft square with white printed hearts in its arms. Chi will definetely become an unforgettable friend for the youngest during the bedtime, the playtime and also the ballades. 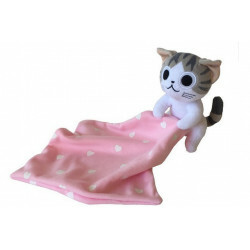 Also, this adorable companion will be part of the family, and belong in the heart of Baby, who won't leave it.